Home / MMA / Will Raczkowski / “A Champion Doesn’t Pick Opponents”: Are UFC Champions Holding Up Divisions and Ruining Contendership? Newly minted Featherweight champion Connor McGregor has recently begun a press tour to promote his clash with current Lightweight champion Rafael Dos Anjos, in an attempt to become just the third fighter in UFC history to earn gold in two separate weight classes. His press tour run has been phenomenal so far, references to being “The Irish El Chapo”, his constant reminders of his anaconda skin shoes, his pledge to chop off Dos Anjos’s head and bring it to a cheering Brazilian crowd, McGregor has been nothing short of phenomenal in getting everyone and their mother hyped for this fight…everyone except Frankie Edgar. Edgar is currently the #1 contender to the featherweight belt, and a former lightweight champion in his own right. Fresh of a first-round face-plant KO of former title challenger Chad Mendes (a feat that not even the mighty McGregor accomplished in his own bout with Mendes) Edgar is the proud owner of a 5 fight win streak over a former UFC champ, a WEC champ, a multiple time title challenger, and two top 10 featherweights, a feat that’s almost as impressive as winning a championship in itself. However, his momentum has come to a screeching halt, after being told that if he wants to fight for the featherweight crown, he will have to wait until after McGregor meets Dos Anjos on March 6th, which will mean Edgar will be forced to sit out for at least a year. In the Heavyweight division, former champion Cain Velazquez has been injured (again) in preparation for his rematch with current heavyweight kingpin Fabricio Werdum. In his absence, #1 contender Stipe Miocic was offered to fill in and fight for the title against Werdum. 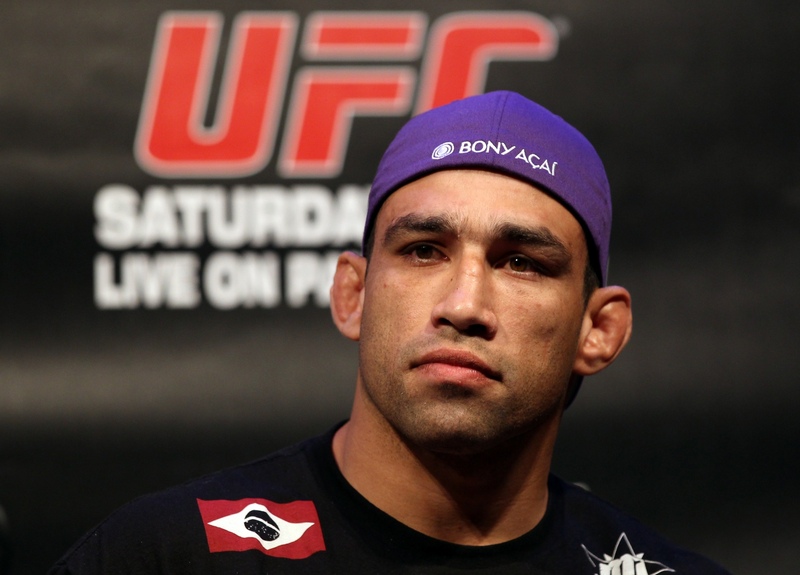 Suddenly, Werdum said that he would be pulling out of the fight with an injury of his own. When pressed he said that he “wouldn’t have pulled out if it was Velazquez” but said that since Stipe would likely earn him less money, he would just heal up and wait for Velazquez. McGregor and Werdum are truly incredible fighters, their talents and finishing instincts have created fans around the globe, and their dominance in their respective weight classes should be respected. However, their unwillingness to fight all comers and chase big money have caused something of a serious backup in their respective divisions. The UFC has long been plagued by instant rematches called for by former champions who lose close decisions, but this is the blatant dodging of genuine, hard-working fighters who have earned their chance at glory. McGregor’s star power is undeniable, and his skill is remarkable, but he has still yet to even defend his belt after his 13 second destruction of Jose Aldo, despite a totally deserving and very well-known challenger waiting for his chance at the title. How can someone demand the chance to fight for a second championship without ever defending their own? Werdum is a great fighter, but his unwillingness to fight a young, hungry, and terrifying challenger in Miocic is somewhat confusing, considering Werdum has always stated he is willing to fight the best in the world and that he felt he was unquestionably the top dog at heavyweight on the planet. As champions get more and more comfortable in their roles they are ultimately creating a talent backup for athletes in a sport where father time is always the winner. 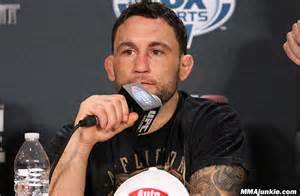 Frankie Edgar is in his prime, but won’t be much longer, and has done more than enough to fight for his chance at becoming a two division champ himself. Stipe is a young-gun who has exploded onto the scene and is ready and willing to fight Werdum on a week or so notice, that confidence and aggression is the sign of a great future champion, but now he will be forced to the sidelines instead of use his momentum. Stipe has voiced his disgust with Werdum, stating that “A champion doesn’t pick opponents”. Additionally, the typically humble Edgar has grown tired of waiting as well, saying that he hopes McGregor wins the Lightweight belt so that “he can beat him for the featherweight belt first, then move up and do it again”. The sentiment is growing amongst fans as well. We are seeing talent wasted as a result of champions who will not face all comers, and that’s a damn shame. The best fighters in the world are missing the prime opportunities to fight each other and give the fans a show. We saw what an old Pacquiao-Mayweather fight looked like, and if the UFC doesn’t stop this trend of instant rematches and opponent picking, they will fall into the same trench. Next Article » HBT’s 2015 NFL Season Awards!!!!!!!! !